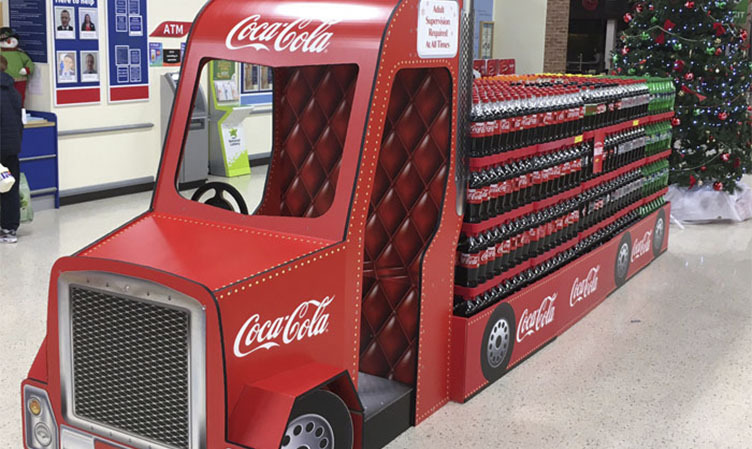 The brief was to creating an eye catching in-store theater piece based on the brands iconic imagery of Santa Claus and his truck. The main structure of the unit was analytically designed using a wide range of average heights for specific consumer age groups. 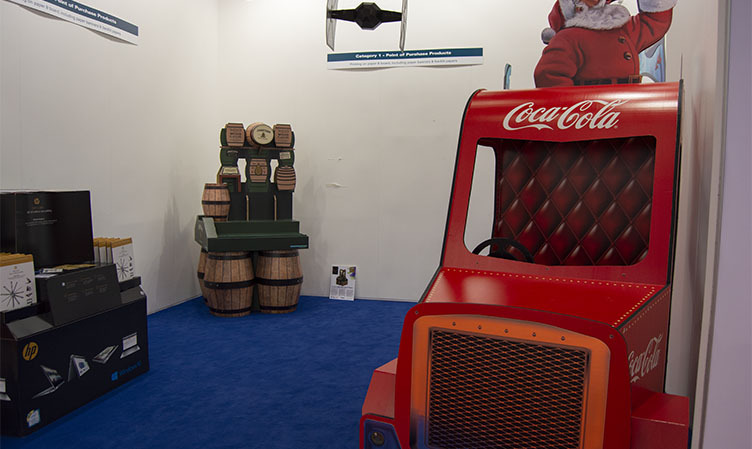 The brief was to creating an eye catching in-store theater piece based on the brands iconic imagery of Santa Claus and his truck. One of the main considerations in designing this display was that it had to be suitable for all demographics and facilitate photographic opportunities. It also had to be a modular styled unit that allowed for practical use in-store and as a stand alone unit for cinema foyers. It had to be functional and attractive in order to direct the customer to the brand, interactive elements were also to be employed to engage the consumer. Lastly considerations had to be made to its cost effectiveness. The main structure of the unit was analytically designed using a wide range of average heights for specific consumer age groups. Floor heights, internal spacings, window and door openings was all carefully considered to achieve a functional unit aimed at suiting all demographics whilst externally it retained the look of the original real to life truck. 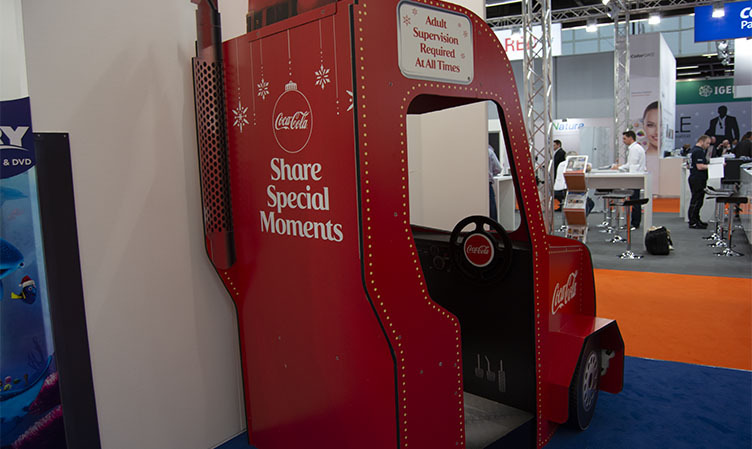 Working flashing headlights and a push button interactive sound box inside the cab which played the Coke Cola Christmas jingle were added to enhance the consumers interactive experience. The materials chosen for this display were 16mm Xanita board for the main structure. A Miriboard metallic substrate was used for the front grill and light housings. The internal components inside the cab of the truck were printed on solid board material and a double wall cardboard was used for the modular pallet wraps at the back of the truck. It was printed on their Durst 1030 flatbed UV inkjet printer on X-Board.